For this shot we wanted to create a product shot that would not only demonstrate our technical knowledge with lighting but the art of avoiding unwanted reflection. Reflective objects are notoriously difficult to photograph especially when they are sphere shaped. We chose the kettle because of it’s shape and it’s reflective material, as this makes it difficult to photograph. We liked the colour as we felt the red would attract the eye and we liked the design a mix of contemporary and traditional. 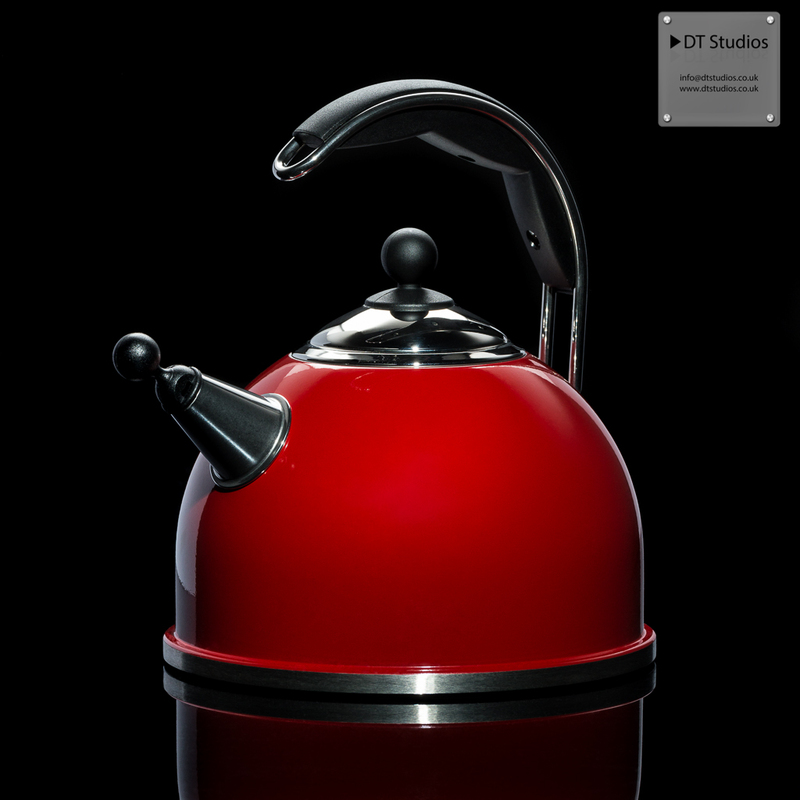 We acquired the kettle from our local Aga shop, who currently have the print hanging in their showroom. We felt that a quality product such as this was worthy of a great photo. Firstly we positioned the Kettle on to the table and chose our shooting angle. We decided that a straight horizontal facing shot with the kettle at 45 degree was the best so we went about looking into lighting it. We wanted a reflective surface, and chose a black perspex base that would give us a reflection. Then the Kettle was cleaned, removing of the dust specs that may show up on the highly polished surface. 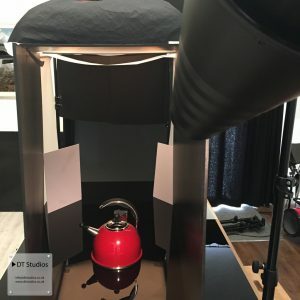 We wanted even spread of light coming down onto the product and we achieved this by placing a large soft box above and slightly behind the kettle. To ensure that the kettle would stand out from the back ground we positioned two white boards behind and to the sides of the product. This would give us a rim light around the product separating it from the background. The background we wanted was black so we placed a black sheet behind the product. No light would fall onto this so we were assured we would have a pure black background. We then needed to lighten up the front of the kettle so we added the snoot to a light facing towards the front of the kettle. We kept this on a low setting so that the light was subtle. This lifted the front of the kettle beautifully. 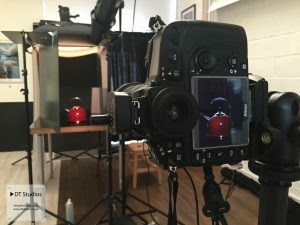 We needed to remove the refection of the camera and ourselves from the kettle so we added black boards on each side in front of the camera and moved back to make the reflected image smaller. This would then be easy to remove in post production. At this point we had the basis of the shot and all that was needed was the final touches. 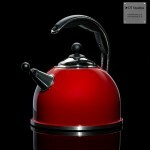 We added a couple of mirrors behind and to the back of the kettle reflecting light up onto the underside of the handle. The result was that we achieved a great still life photo, in camera with very little enhancement or post production needed.